With the use of online banking and apps on our mobile devices, the cases of fraud have heightened more than ever before. It is dire that consumers pay attention to their accounts in order to protect fraud and save themselves from oncoming damage. The simplest things like using public Wi-Fi in a shopping center or not monitoring online purchases can be grounds for a disaster. It is important to remain attentive when doing these things because of the way technology has made stealing people’s information so conveniently accessible. Unfortunately, the most drastic measures must be taken to protect your name and your money. When setting up online banking, picking exclusive passwords is an effective way in protecting yourself against fraud. In this era where most people don’t even have to enter a bank to see their finances, it is highly significant to have the best online security. Emails can get hacked as well. Changing your password constantly is a great way in saving yourself from the dangers of fraud. It provides as protection as well as gives you peace of mind. Securing your email and your technological devices can be an exceptionally efficient way to stop hackers and scammers from stealing your funds. Like most things there are pros and cons. As long as there are ways to get scammed, there will always be ways to protect yourself from it. Online pop up blockers and anti-virus software can always be downloaded as ways to prevent fraud. Always be wary of where you are putting in your personal information such as, passwords, account numbers and even personal identification numbers. If negligent, they can be tracked and fraud will be likely to occur. Meeting with financial advisors to know exactly how your money is being handled is a good way to have a handle on your personal finances. One should always take initiative to protect themselves against fraud, but having someone who is trained in the matter to help is always a great plus. Even with having an advisor, fraud can still occur. Being mindful of what your advisor says is important, but it is always important to remain in control of your life. Do not be afraid to ask about your financial progression because after all, it is your money. Financial advisors themselves often can be scammers. It is highly significant to do research to protect your assets. A common mistake people can make is putting their trust into an advisor. It is important to not be fooled or intimidated by certain terminology used. Extensive research can grow tiresome but is well worth it in fighting against fraud and suspicious activities. Having a financial advisor and changing passwords are efficient ways to protect yourself against fraud. 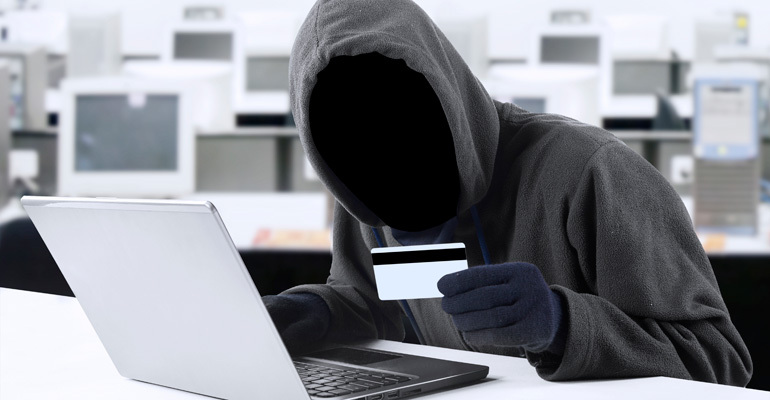 Even with these precautions, you can still have fraud committed against you. As it is your name and your account, you must always have your eyes open to the cruelties associated with fraud. Understand how your money is being spent and have clear visuals of what your money looks like. Be attentive and knowledgeable to your money. This isn’t only good to know from the advisors perspective but from your financial institution, and most importantly—your own. Unfortunately, elderly people tend to fall ignorant to the new ways to get scammed out of their money. Even prior to mobile devices and online banking, scammers used telephone calls as a way to track down information. Now there are new and simpler ways to receive data. Many times the elderly are not up to date with latest technologies and therefore are blind to what can be done to their accounts. They are likely to be subjected to fraud because of their lack of access to their accounts. They would not even know to protect themselves because they had no knowledge to the new ways. Modern day technology allows for you to be able to check your account all hours of the day. An elderly person, however, might not be on a mobile device to do so. For them, it is especially critical to be protected, since they may have technological barriers. But just because elderly people may be more prone doesn’t mean they are limited to fraud. It is something anyone can go through if they aren’t cautious. No one is exempt from fraud but everyone has a chance to fight against it. Social Security, What Is It? Your social security benefits are a retirement pension arrangement issued by the United States Government. It’s supposed to help retired individuals in America receive a form of income now that they are not working anymore. Each country has their own form of social security system. 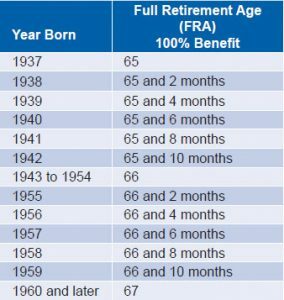 There is an age range of when you can start taking your social security benefits at full, here in America. This all depends on the year you were born. This is known as your NRA (Normal Retirement Age). Let’ say you are interested to take your social security benefits before your full retirement age is reached. Let’s say you decide to obtain your social security benefits check 36 months before your full retirement age. You will have to opt-in to receive a social security benefits check issued at five-ninths of 1% reduced per month. If you decide to take it even earlier, you’ll receive even less money in your checks. So be warned, if you decide to receive money before your full retirement age is meet, you will receive fewer amounts of money in your monthly checks. This option of receiving your social security benefits check earlier should be thought out first. Make sure you assess the factors that may make you take your social security benefits check earlier, before your retirement age is meet. Unlike the previous situation, if you believe receiving your social security benefits check earlier is a valid choice for you, before your retirement age has been reached, then so be it. But if you decide to wait past your full retirement age, and between your full retirement age and 70, you can receive credit for waiting past your full retirement age. So, let’s say your full retirement age is 66, but you wait until you are 68 to tap into your social security benefits check, you could receive an 8% per year credit, multiplied by 2 due to the number of years you’ve waited. Still, you will have to assess the factors that may play into allowing you to make the choice of waiting to obtain a higher monthly check per month, or a lower one. So, the longer you wait to obtain your social security benefits check, the more money you will obtain from that check per month. On the other hand, if you decided to obtain your social security benefits check before your full retirement age is meet, you will receive less monthly in your monthly checks. 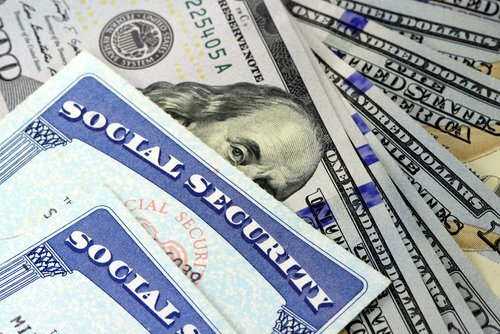 If you’re at an age where you may need the money, because your life expectancy isn’t that much longer, then weighing on your expenditures and how you can benefit from your social security benefit checks could give you a reasonable plan to withdraw your social security benefits earlier than proposed to you. Having a spouse, and understanding her financial plan and situation could also help you make a better decision on whether or not you should take your social security benefits check early or not. If you are working, and still decide to take your social security benefits check early, this could temporarily reduce your benefits check per month as well (while being employed). But if you have already reached your full retirement age, and is still receiving an income, the money will still have a temporary reduction per month, but it will be significantly less of a deduction than receiving your social security benefits check before your retirement age has been reached. There might have been an instance where you thought taking your social security benefits early would be a benefit for you. But realized maybe waiting a bit longer could have been a better option. You can always repeal your early withdrawal of your social security benefits check by paying the government back what you have taken. The benefit about this approach is that if you pay back in full what you have taken, let’s say in that one year you were obtaining your social security benefits check, you can payback that amount of money and decide to retrieve that money in a future date. When you obtain that money again in a future date, you will get the higher level benefit check portrayed for that age range you are obtaining it. Holistic financial planning is by far one of the best well known practices that is picking up steam between clients and their accountants. It’s important to understand the reality of what holistic accounting perceives, compared to financial strategies one should take. Holistic financial planning involves more than just counting numbers, and understanding how to forecast the green papers you will obtain as an asset in general. But the most important aspect of holistic financial planning, is to know what to do with the green paper you call cash, and with the rest of your assets. One can spend money on their own personal wealth, investments, donations, or pass it along to love ones, as well as to use money to take care of those they find dear to their own heart. But the reality of holistic financial planning involves the necessity to understand what your playing field will be like, when you plan to use your money and your forecasted income, as well as curating a thought out plan. The goal of holistic financial planning, is to make sure we understand where you stand with your current financial situation, and determine how realistic your future plans are, as well as to determine any missed opportunities or loopholes with your plans. What Holistic Financial Planning Really Does? A great accountant will sit with you, and talk to you about what it is you are planning and looking for. Building a conversation, and in the long run, a sense of “trust” with your clients is part of holistic financial planning. But there is no trust to be built without having reasonable and responsible approaches to one’s hard earn income. As a holistic financial accountant, you have to take the time to see where opportunities lies, and where plans of your clients seem unrealistic. It’s about understanding your client’s cash management, their accumulation of retirement assets, health and life insurance plans, investment on education funding, tax plans and their retirement income plan. These are just some criteria to know when organizing an approach for your client review process. Why Is Holistic Financial Planning a Good Idea? Holistic financial planning is a fantastic idea, because it prepares people for the unexpected when planning out a course for their financial investments. What this means is that you can never expect the unexpected. Planning out a financial plan for yourself, in a holistic manner, will open doors for you and safeguard you from the unexpected. It will also create longevity to your personal catered holistic financial plan. The plan is created for you, the client. You can develop, manipulate, and steer it the way you deem fit as a client. Just make sure you obtain your accountants professional opinion when doing so. Let’s get real here. When you plan to make a holistic financial plan, you may have dreams and aspirations you want to achieve with your current financial situation. There is nothing wrong with being a dreamer, but there is a fine line of knowing when things seem probable, or when things seem out of reach. Always taking the time to understand whether or not you have a guaranteed approach to achieve a goal of your clients is a standard one accountant should always perceive to take. But at the same time, knowing the difference between a guaranteed approach, and a probable, or uncertain one is a standard holistic financial planners should comprehend for themselves. What Are Uncertainties, and What Are Guarantees? Unrealistic goals are more than likely a waist of your time, and your money too. But don’t get me wrong, nothing is exactly impossible, there may be a way to achieve your impossible goals. But in hindsight, you better prepare have a fantastic holistic financial plan to achieve those goals.